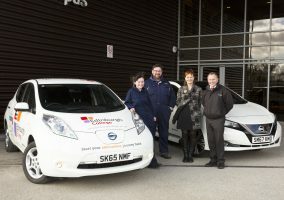 MIDLOTHIAN car dealership, Alex F Noble & Son, has transformed a half-acre of formerly unused landscaping at the front of its Nissan premises at Straiton to accommodate additional display space for more than 100 used vehicles. Work on the £150,000 project took only four weeks from start to finish and is the latest investment by the firm — which this year celebrates its 85th anniversary — as part of a planned growth strategy, which has also included the complete refurbishment of the Straiton showroom. The additional vehicle display area is already producing positive results through a noticeable increase in customer footfall as a direct result of much improved stock visibility. 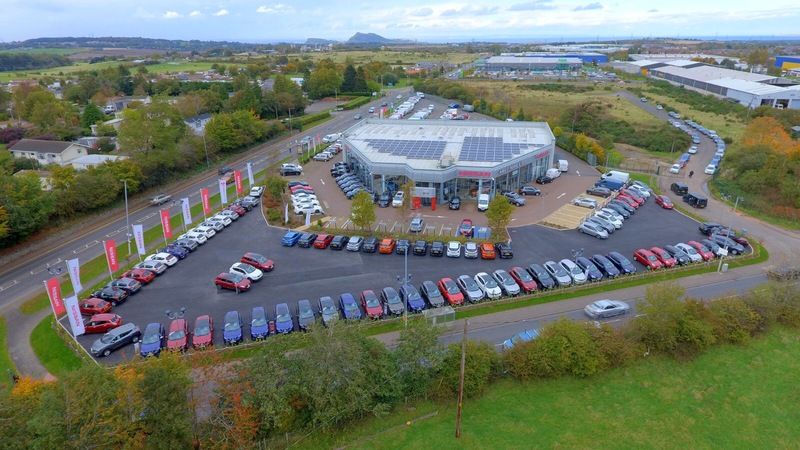 David Noble, Dealer Principal at Alex F Noble & Son Nissan said: “Concurrent with the steady growth of both the business and the Nissan brand, additional display space for our used vehicles was an absolute priority for us. We had simply outgrown our existing display facility, which prompted us to maximise the potential offered by the unused space we had at the front of the premises. 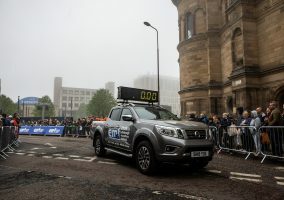 “The new display area is very visible, particularly from passing traffic on the main A701 road which runs past the front of the dealership and I’m pleased to note that this improved exposure of our Nissan vehicle range is already paying dividends. The Alex F Noble & Son Nissan premises at Straiton, Midlothian showing the additional used vehicle display area.